Finally. An antagonist with a nefarious agenda appears but it took three books to shape Culpepper. And I use the term 'appear' loosely because Culpepper is mostly talked about and, in his one and only appearance, he's hidden in a [spoiler]. Readers never actually see him. On the one hand, this illustrates Isabelle's relationship with her dad; on the other, it makes for a dull story. The story repeatedly assures me that this love between Sam and Grace is real while telling me that they are doing normal things -in the background- while dealing with werewolves. 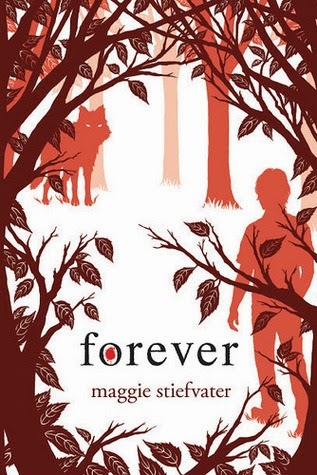 In a special note at the end of the digital copy of this book, Ms. Stiefvater acknowledges fans who've sent in messages asking if true love is really like Sam and Grace's love. She assures readers that it is. Ms. Stiefvater and I will have to agree to disagree about that. What's developing between Isabelle and Cole might be more realistic, if you overlook the fact that she's a rich white girl and he's a recovering rock star. This book is more about what readers might want to be/happen than what is actually happening/going to be in their lives and, in the end, the series depicts a daydream version of love. Sam, Grace, Isabelle, and Cole had days to prepare for the event that happens in this book (no spoilers) and do nothing except talk about it. And talk about it. And talk about it. I said in my review of the second book that this series feels like a soap opera; that statement continues to hold true through the course of this third book.